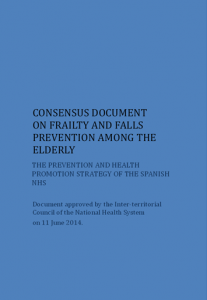 The Prevention and Health Promotion Strategy of the Spanish National Health System is implemented within the framework of the Strategy for Addressing Chronicity in the NHS. It advocates the progressive development of interventions aimed at improving health and preventing diseases, injuries and disabilities. It was adopted by the Interterritorial Council of the National Health System on 18 December 2013. This document is part of the implementation plan for this Strategy. The document can be found here. 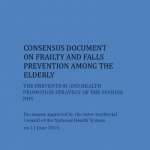 Consensus document on frailty and falls prevention among the elderly (The Prevention and health promotion strategy of the Spanish NHS – Ministry of Health, Social Services and Equality 2014, English) Reviewed byArnhild Jenssen Nygård on February 29 .